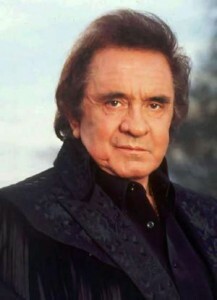 The year was 1994, and it was not the best of times for Johnny Cash. 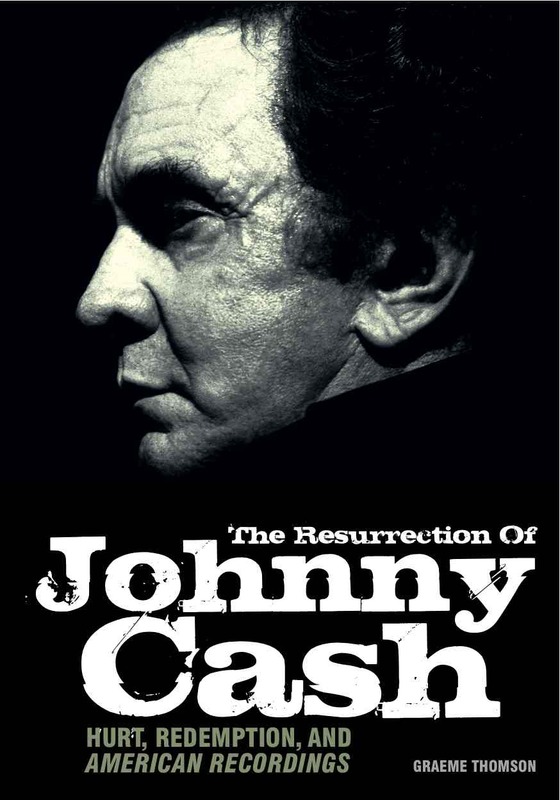 His health, starting to fail from a series of illnesses and decades of hard living, was seemingly bringing “The Man in Black” much closer to the end than he was ready to admit. His latest major record label, Mercury Records had dropped him after one last commitment record, The Mystery of life, that was released in 1990 and included updated versions of “Hey Porter”, “Angel and the “Badman”, and “The Greatest Cowboy”, that were good simply because they are very good songs, but showed none of the outlaw grit and soul that had come to personify what just may be the greatest songwriter in American History. More than anything else, the song “I’ll go somewhere and Sing My Songs”, was clearly a metaphorical “spit in the eye” kiss-off to the current contentious relationship he was having with the record label in particular and the music business in general, it was clear that Johnny was at some sort of foreboding crossroads in his career. Given his particular set of circumstances, and his inability to connect with his legion of fans with new material, Johnny Cash did what he always did when times were tough, he hit the road. It was on the road, with his wife June that he found spiritual peace and a safe harbor where he could be among friends that have been with him from the beginning. It was at one of these shows, in 1991, that I met Johnny Cash. The show was crisp, professional, and everything you would expect from a showman that had been honing his craft for almost forty years. Time was turned back during this performance with June providing an always passionate rendition of “Jackson”, and every standard whether it was “Ring of Fire” or “Walk the line” was delivered with an attitude that this was the first time the audience had ever heard the song, and there was no place on earth he would rather be than right here, right now, performing for you. This fan friendly aura was taken to the extreme when he told the audience that for anyone that was interested; he would be in the lobby after the show signing autographs. It is there, after a waiting in an almost embarrassingly short line for a man of his accomplishments, that I met Johnny Cash. With cell phones and the ability to take spontaneous photos of special moments still almost two decades away, I am left with only my memory to capture the moment that this country giant, standing what seemed to be much taller than his 6’2” frame would indicate, dressed all in black of course, with a turquoise bolo tie and pearl cuff links, and personalized for me three 8 X 10 pictures. He then took my hand in a bone crunching grip, looked me dead on in the eye and said “Thanks for coming to my show Podnah, did you have a good time?” Sometimes questions require no answer. The Year was 2000 and it was not the best of times for Ryan Caron. When we met him, the twelve year old was sitting in a wheel chair by himself at the Ronald McDonald house in Houston having just had a major part of his right leg removed as part of what would be an on-going series of treatments and operations to stay one step ahead of the cancer that was threatening to take over his body and his life. 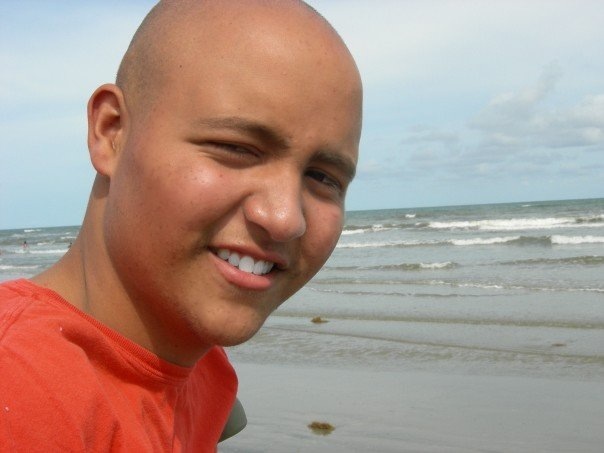 The color of his skin was grayish brown, almost the color of mud dried up in the Texas sun, and his face seemed bloated, a victim of the chemo treatments he was right in the middle of receiving. Sitting down and talking with this ailing young man, I quickly realized that this was a unique individual that I was very lucky to be meeting. After a few minutes of conversation, I quickly learned that he was from Austin and had recently been making trips to Houston for testing, diagnosis, and treatments at M.D. 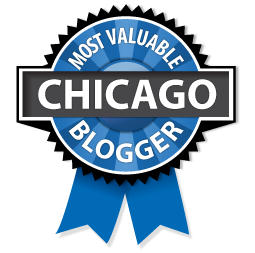 Anderson, one of the best cancer treatment facilities in the world. His attitude was very upbeat, and he was starting to mull over in his mind whether he would go with an artificial limb or go old school with a wheelchair and crutches. His biggest regret over his circumstances seemed to be the loss of his beloved dreadlocks. When it was time for my wife and I to go I shook his hand, wished him luck, did not share any contact information that would facilitate any further interaction between the two of us, and like Elvis, left the building. 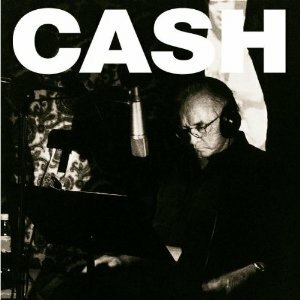 In 1994 Johnny Cash Released American Recordings the first album to be released by Rick Rubin’s American Recordings record label. The formula, largely invented by Rick Rubin, was to take an artist known for having a tremendous vault of material that combined with roots songwriting themes, partnered with a soulful song delivery style that could stand on its own, and strip the sound down to the bare essence of the artist. And that is just what happened with the Grammy winning album that reinvigorated the life and career of Johnny Cash. 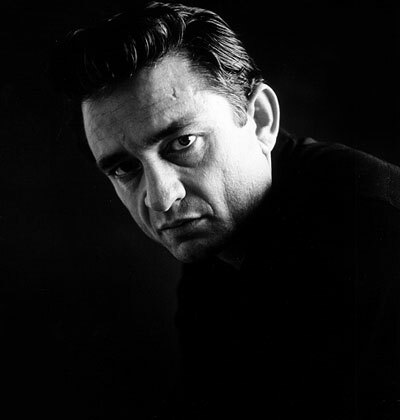 Recorded mostly in Johnny Cash’s Living room, this initial volume included classic songs such as “Delia’s Gone”, “Drive On”, and “Tennessee Stud”, turning the hipness up several notches to 11 with “Down There By the Train”, a song written for Johnny Cash by Tom Waits, “Beast in Me” the signature Nick Lowe song, and the Leonard Cohen classic “ Bird on a Wire”, all were delivered with simple, minimalistic production values, a man, his voice, fading imperfections and all, and his guitar, the stuff goose bumps are made of. The successful formula was altered slightly with each volume released. The second volume Unchained was a record of mostly covers with support provided by Tom Petty and the Heartbreakers. American III: Solitary Man was a response to various illnesses that were starting to cut short his touring schedule, and American IV: The Man Comes Around, more covers but this time with an accompanying video of the Nine Inch Nails song “Hurt” that included a Johnny Cash performance that was so devastatingly rip open his heart, pure and honest, that it not only earned the series another Grammy award, this time for best video, but also served as a wake-up call to his legions of fans that this may indeed be his last album. It wasn’t. The next album in the series American V: A Hundred Highways was to be his last proper album, American VI: Ain’t No Grave was a series of outtakes from these sessions, with song selections that had Johnny cash going down the trail towards the afterlife with themes of redemption, spirituality, roads travelled, and a life fulfilled. Once again he selects traditional songs, “God’s Gonna Cut You Down”, current songwriters, Bruce Springsteen’s “Further Up (On Down the Road)”, and Cash Original’s including “I Came to Believe” thematically showing that life, death, and mortality were front and center on his mind, and if this was too be his last album, he had some things to get off his chest. In 2008 life, death, and mortality were also very much on the mind of Ryan Caron. After our initial meeting in 2000 and a series of random, yet in what I am convinced were pre-ordained events, Ryan and I had become friends. An unfortunate by-product of the course of treatment for Ryan was the need for him and his family to make the 180 mile trip from their home in Austin to the M.D. Anderson medical center on a somewhat regular basis. Over the course of the next 8 years Ryan and some combination of his mother Rachel and/or his father Howard would stay at our house for the length of time they were required to be in Houston as Ryan was receiving treatments and attending appointments. As so often happens with friends and families that spend a lot of time together certain rituals tend to develop. We had a couple of them. The first night everyone would go to dinner and enjoy a nice meal. After returning home Ryan and I would then go to Best Buy. I would buy him a CD and we would go home and listen to it together. An excellent musician, Ryan played guitar and had a beautiful singing voice. Music was always a very big part of his life. I would never tell him, but his music selections were never quite my musical style. His CD picks were an extremely eclectic mixture of high profile Rap groups of the day, Christian music, or harder rock groups like Shinedown, Linkin Park, or Nickleback. Being a bass player he did go with a Bootsy Collins CD during one visit which was about as close as our CD selection journeys would come to meeting on common ground. This pattern continued pretty much the same each visit until what turned out to be our last trip. Over the prior 8 years the young man’s life had been a roller coaster ride of tests, high hopes, periods of time where he thought he might be out of the woods, a lot of needles, a lot of heart and an abundance of perseverance. Just like Johnny Cash. This particular visit that would consist of testing, diagnosis, and consultation would and turn out to be a pivotal one as his condition was worsening and his spirits which had always been higher than anyone in the room were beginning to falter. If I ever had any doubts about how he was feeling internally about his future they were all washed away on our musical journey with Ryan’s final selection American V: A Hundred Highways. Ryan, to my knowledge was not a country music fan, we had never talked about Johnny Cash or any other country star for that matter, except of course for Willie Nelson, and this was about as far from his prior musical selections as you can get. But then we listened to the album together and it all made sense, real hit you between the eyes with a 2 X 4 kind of sense. I really think that after chemotherapy, 20 radiation treatments, losing his right leg at the hip joint, his right lung, and most of his left jaw, that Ryan had become tired. He was sick and tired of being sick and tired, just like Johnny Cash. It did not take me long to realize that this album came as close to expressing in 12 dramatic stories the state of mind that Ryan must have been experiencing at the time. From the opening track “Help Me” where Johnny Cash pleads to The Lord to help him walk another mile, to “A Legend in my Time” that speaks to picking yourself up and dusting yourself off when you come up against a set-back, and “I’m Free From the Chain Gang Now”, this album seemed to be pretty much the soundtrack for Ryan’s current state of emotional affairs. Ironically enough, after 8 years of intimate knowledge of his medical condition and even spending time visiting with him in hospital rooms at M.D. Anderson during a time period when we were both receiving treatments, it wasn’t until listening to this album together that any thought of him not getting better even entered my mind, until I heard the opening lyrics of “Like the 309” that is. It should be a while before I see doctor death/so it would sure be nice if I could get my breath/well I’m not the crying nor the whining kind/till I heard the whistle of the 309. Got on my dead man’s suit and my smiling skull ring/my lucky graveyard boots and a song to sing/I got a song to sing that keeps me out of the cold/and I’ll meet you further on up the road. I looked at him, he looked at me, and it was then I knew. But there was still more work to do. In the span of less than six months Ryan graduated from high school receiving a diploma in a ceremony where he was the only student that walked since the entire proceedings had been recreated exclusively for him as he was too sick to attend the actual ceremony. He got married to his high school sweetheart, and could be found wearing his fedora and playing his guitar in coffee houses throughout the Austin area. With studio time donated by Ray Benson of Asleep at the Wheel, he and a couple of friends recorded a stunning version of his favorite song, “Pride and Joy”, a song that could be a sound track to his life. In short, he lived the last few months of his life much the same as the eight years following his diagnosis where he was a national spokesperson for the Sunshine Kids, was very active in his church and school activities, appeared in a National Nike commercial with Lance Armstrong, and was featured on several local news programs as a mentor and inspiration for fellow cancer victims. On February 5th, 2016 it will have been seven years since Ryan Caron passed away peacefully at his home surrounded by family and friends. A few hours before he died he called me to say thank you and to say goodbye. Goodbye Ryan, We miss you. Listen to this wonderful album below.